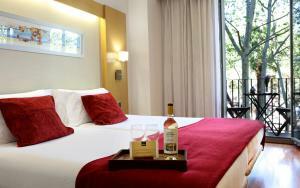 This air-conditioned room comes with 2 single beds placed together, parquet flooring and an LCD TV. It has a work desk, a minibar and a private bathroom. 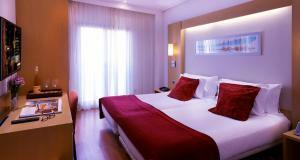 Rate: € 75.60 ... € 168.00; select dates below to get current rates. 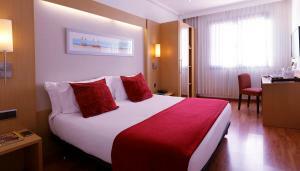 Rate: € 72.00 ... € 188.00; select dates below to get current rates. 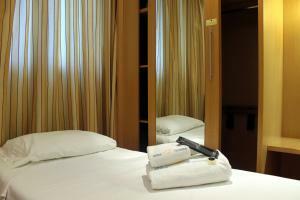 This air-conditioned room comes with 2 single beds placed together and 1 extra single bed, parquet flooring and an LCD TV. 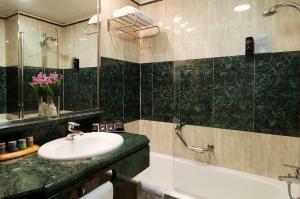 It has a work desk, a minibar and a private bathroom. 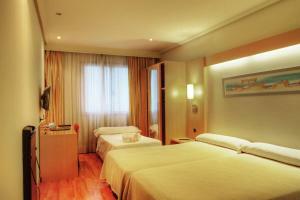 This twin/double room features a flat-screen TV, air conditioning and minibar.